What I enjoy most is making a difference in people’s lives,” stated Dr. Anyanwu. HeartValveSurgery.com, a leading educational resource and community of patients with heart valve disease, announced today that Dr. Anelechi Anyanwu has been named its current ‘Featured Heart Valve Surgeon’. Dr. Anyanwu practices at The Mount Sinai Medical Center, the #13 ranked cardiac care program by U.S. News and World Report. 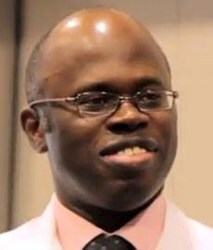 In 2004, Dr. Anyanwu joined the Department of Cardiothoracic Surgery at The Mount Sinai Medical Center, after an extensive training with internationally recognized surgeons including Professor Sir Magdi Yacoub, Professor Gilles Dreyfus and Professor Tom Treasure at the Harefield Hospital, London, United Kingdom and affiliated hospitals in the University of London Network. During his career, Dr. Anyanwu has performed over 2,000 cardiac procedures including more than 1,000 valve operations. His interests include minimally invasive mitral valve repair, mitral valve repair for dilated cardiomyopathies and heart failure surgery. You can watch Dr. Anyanwu discuss his approach to mitral valve repair reoperations in this new video. Dr. Anyanwu joins an elite group of surgeons who have received ‘Featured Heart Valve Surgeon’ status at HeartValveSurgery.com. To celebrate Dr. Anyanwu, the website will highlight Dr. Anyanwu across its interactive platform which includes a surgeon finder, a heart valve clinic directory, educational videos, an interactive blog and a social network. During 2012, HeartValveSurgery.com received over 1 million visits while expanding its online library to over 10,000 pages of free information. “What I enjoy most is making a difference in people’s lives,” stated Dr. Anyanwu. To see the interactive surgeon profile of Dr. Anyanwu, please click here. Founded by Adam Pick in 2006, HeartValveSurgery.com has helped millions of patients and their caregivers better understand the potential challenges and opportunities of heart valve surgery from the patient perspective. This website provides over 10,000 pages of complimentary information (educational videos, a surgeon locator, a social network, an interactive blog) to support patients before, during and after heart valve surgery.